April 25 is Liberation Day, a national holiday in Italy. Liberation Day (No, definitely not libation, as the bottle of wine may make you think.) celebrates when in 1945 during World War II, Allied troops once and for all liberated the Italian peninsula and islands from Mussolini’s Italian Social Republic. 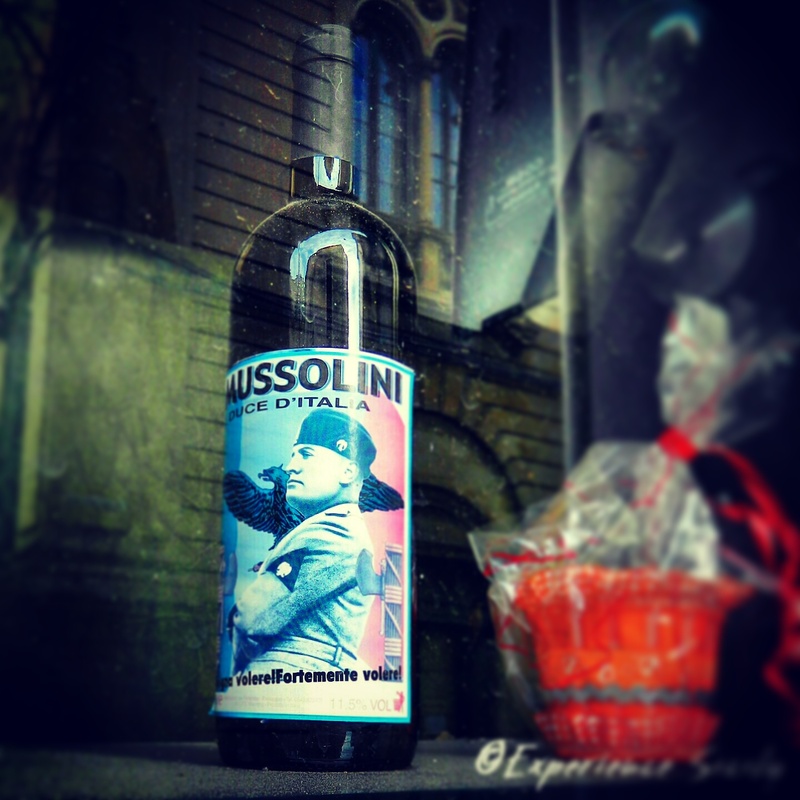 When I saw this bottle of wine, I thought its label strange (Mussolini is not someone to be celebrated on a bottle of wine, in my opinion.). Italians have a lot of mixed feelings about Mussolini, who was executed 3 days after Italy was liberated. Thankfully, after 20 years of fascist dictatorship and 5 years of war, Italy became a democratic republic in 1946. Before then, it was a monarchy, and Italians didn’t have the freedoms they enjoy today. April 25, or La Festa della Liberazione, pays tribute to those freedoms and to those who lost their lives fighting to free their country … I’ll drink to that! Even though the bottle of wine looks strange with the name and image of Mussolini, it’s always good when a country remembers its history. Excellent day to celebrate! It’s so important to look our history! So we don’t repeat past mistakes. This is a conversation piece for sure. I agree most heartily. Americans could learn a thing or two about this celebration and why the day is celebrated. Yes, we need to live “in the moment” but we also need to know where that moment came from. This period right now is a time for Americans to remember some of our less noble moments in history – as well as the righteous ones. I’m referring most specifically to our history of racism, noble attempts to eradicate it, and now letting it slide right back in. I hope we all wake up soon! I get it! And, I’m with you!